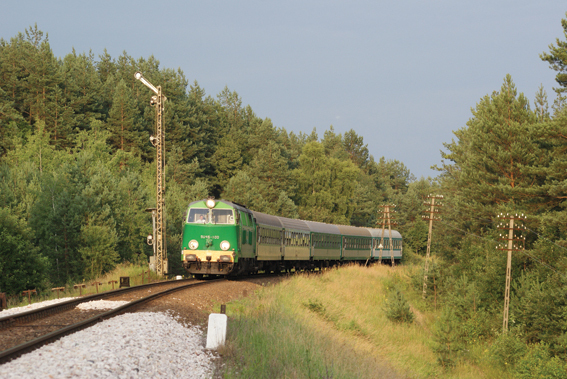 SU45-class locomotives, until recently the most common type of diesel locomotive used to service passenger trains on non-electrified lines, are progressively disappearing from corners of the PKP network. This is partly due to the elimination of trains served by SU45s by the continued introduction of DMUs, and equally contributing to this is the division of traction equipment between the companies of the PKP Group in a way not suited to the type and quantity of their transport work. Przewozy Regionalne has a surplus of several dozen operable SU45 locomotives, for which it has no permanent work. PKP InterCity is wrestling with the problem of a significant shortage of this type of traction, as a result of which it is forced into the unprofitable rental of SU45s from PKP Cargo. This situation will lead to the disappearance of this locomotive series from the rails of the PKP. Trains wandered along the 66.5 km line from Ocice to Rzeszow Glowny for nearly 30 years from 1971 until 2000. From 2001 most of the line was removed from service and vegetation began to grow, its empty and forgotten infrastructure crumbling. 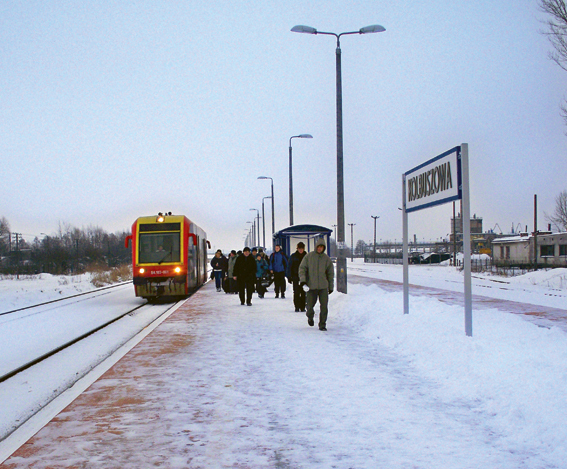 As a result of several years of constant efforts on the part of the Kolbuszowa local government, from 2006 the progressive renovation of the line began, and from March 2007 the rail connection first returned from Kolbuszowa to Rzeszow, and from 2009 trains began working in the direction of Tarnobrzeg covering the distance of the entire line. This isn't, however, the end of the line's fight for existence, as there is also competition with private cars. The steam depot of the Imperial Karol Ludwig Galician Railway (CLB) in Rzeszow was founded in 1858 at the time of the arrival of the railway from Krakow. This piece covers the workings of the steam depot under the control of CLB, the Imperial Austro-Hungarian State Railway (kkStB) after nationalization in 1892, army command of the Lwow Railways during the First World War, the pre-war PKP, DRG and post-war PKP. In 1991 MD Rzeszow was absorbed by the Rzeszow Wagon Works (WGW), and all its equipment transferred to the inventory of WGW. This was the only PKP wagon works which possessed locomotives not only for shunting within the works, but also for traction purposes. 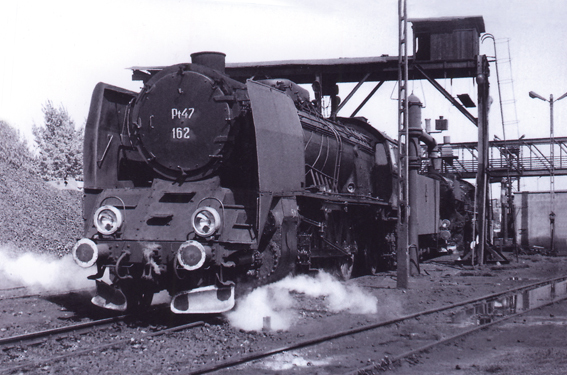 The depot had assigned locomotives until 1997, when it lost independence, becoming a section belonging to MT Tarnow. Recently it is a branch of the equipment department in Zurawica, part of the Podkarpacki Section of PKP Cargo, with headquarters in Przemysl. 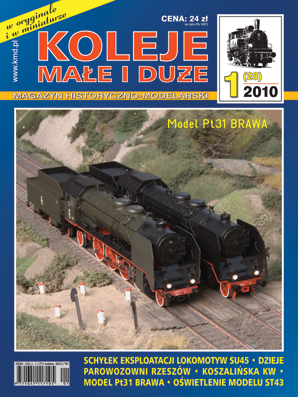 At the beginning of 2009 the Brawa company announced the production of a class BR19.1 steam locomotive of Polish construction. It was planned to make a special edition, a PKP Pt31 in two paint schemes - olive and black - and each in two versions, one with sound and a decoder, and an analog version without sound. 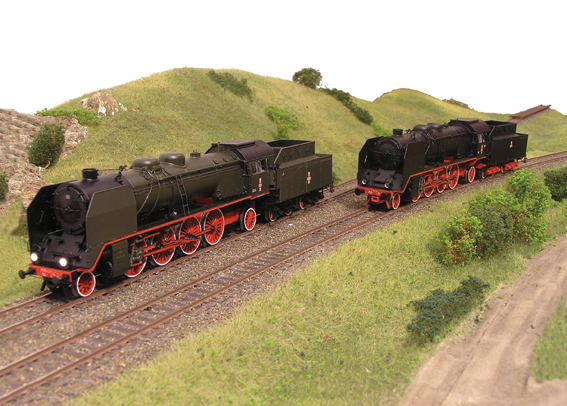 Finally in February 2010 the first-ever model of a locomotive of Polish construction appeared. Since Brawa is among the most prestigious and expensive of the mass producers, the waiting was accompanied by not-small quality demands, especially as the extensive and detailed documentation for the model was prepared on the Polish side by Tomasz Roszak and Krzystof Koj - high-level professionals, didn't awaken any reservations.